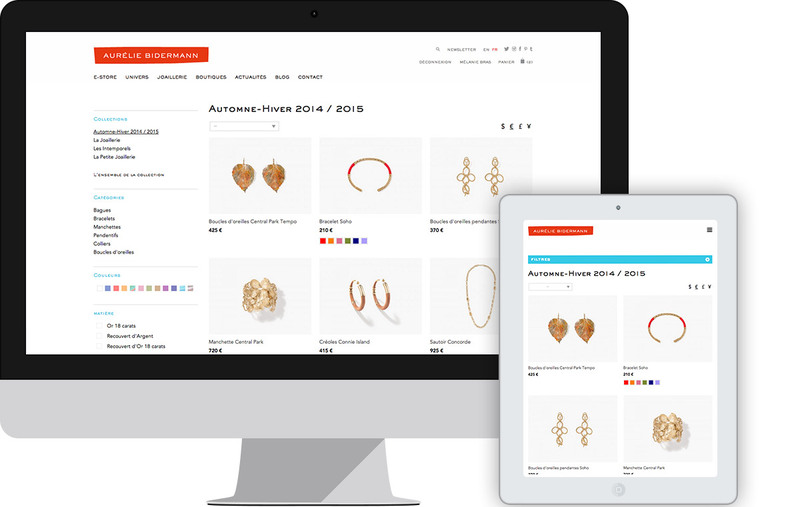 A custom e-store for a well-known jeweler, internationally recognized. 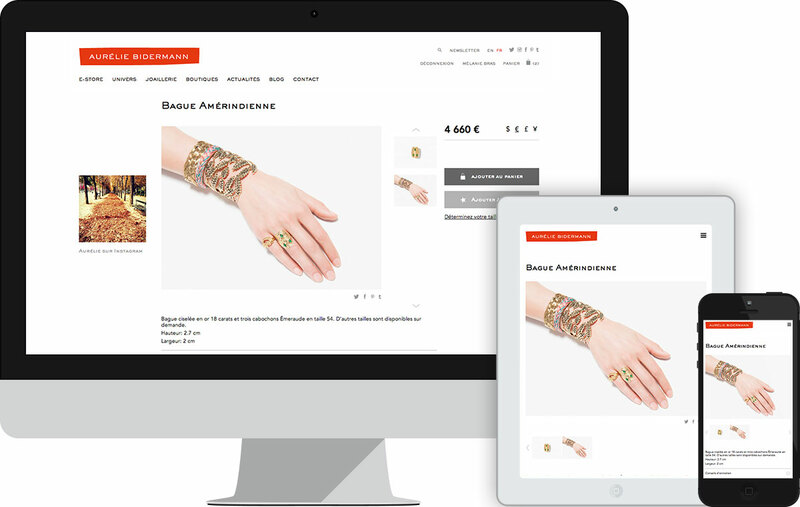 Design and website development for Aurélie Bidermann, the famous creator of jewelry. 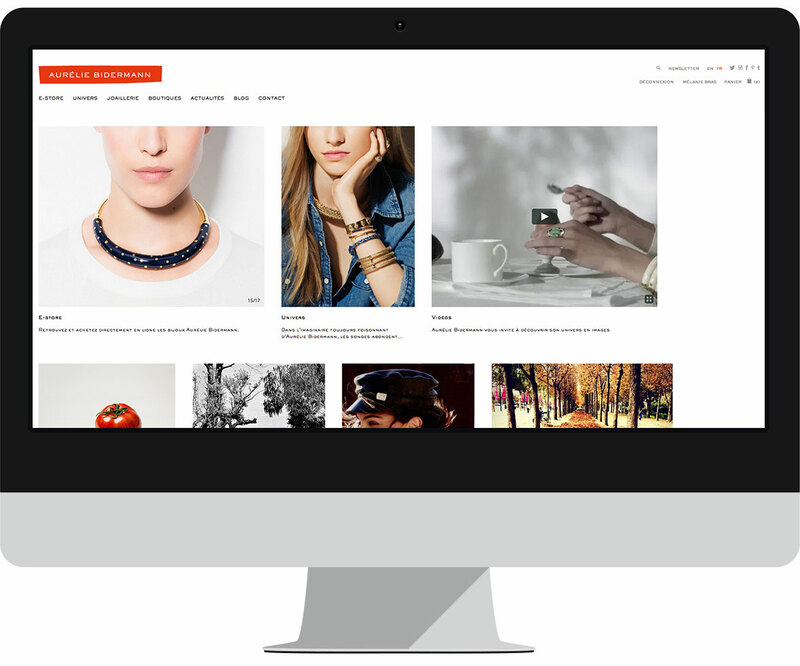 A showcase website that combines strong editorial content and an elegant e-store. 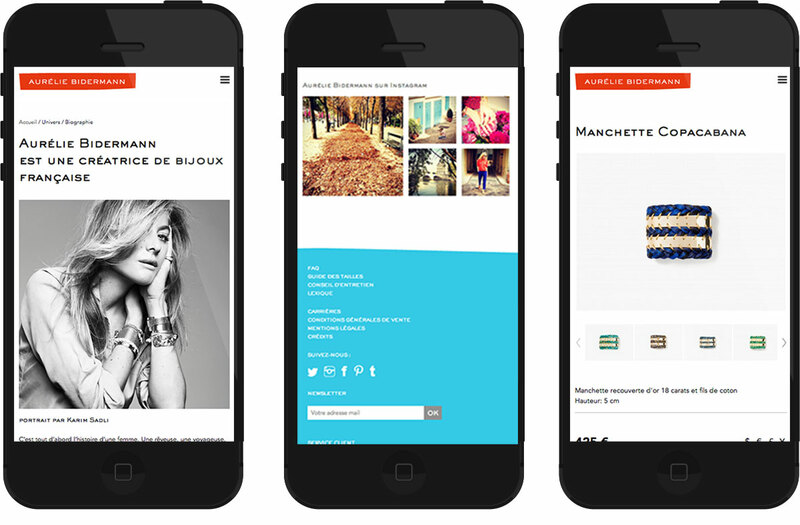 A full responsive design website. A website of great sobriety which matches the visual world of Aurélie Bidermann. A responsive and bilingual website for an urban and international clientele. An e-store optimised for all devices with a perfect ergonomy.